A catchy name and a great success story is a blessing for the any of the fashion brands. 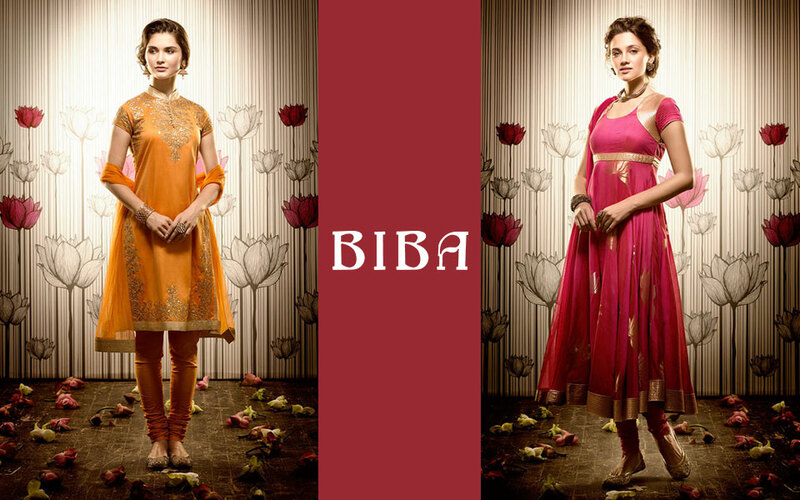 When it comes to Indian Clothing Brands, BIBA is the most accredited one, especially for the ethnic wear. I know, it sounds a little bit dramatic, but the name of this clothing brand is actually slanged for a beautiful woman. BIBA is one of the luxurious life experiences that every Indian wants to try because of the beauty and simplicity of this brand. BIBA also marks the start of female entrepreneurship in our country. The founder of this clothing brand, Mrs Meena Bindra, started this venture as a source of pocket money by putting a good use of her free time and the best use of her passion. Biba has very much excelled in last five years opening stores in 76 cities across countries. Established in 1986/88, the brand has always been surpassing, marking a transition of a housewife to an entrepreneur. Let’s take a ride on this journey. BIBA was started out of passion and hobby, and a source of pocket money. It was based out of Delhi, where Mrs. Bindra was brought up, and she gathered knowledge about all the Indian dressing, sort of the north Indian Style. Mrs. Bindra was married to an Army officer, because of whom she had travelled across India and thus her passion for styling and designing was blasted off by seeing different cultures in our country, especially trying various kinds of things on the Salwar suit and Punjabi dresses for women. BIBA was started back in 1998 by taking a loan from the bank and opening a small retail store in Mumbai. The major problem was the market and the mentality of the people back in 1900, which was still under construction bridging the gap between the consumer and readymade garments. But due to the uniqueness of the brand styling and designing, it started to become famous leading to a chain of stores all over the country. The Marketing Strategies were very crucial that made the brand’s name glitter in the limelight of Bollywood. BIBA started sponsoring and styling various Bollywood films, which was a major deal in the commercialization of the Indian ethnic wear industry. Till now, BIBA clothing is used in movies. Not only has this, keeping the market study on the tip of fingers, the prices of the cloth ranged so that even a middle-class female could also offer. But you know, what mattered most for this venture’s success? The venture was keeping hand in hand with the changing time and thus the changing mentality of the people, styling sense and the technology involved. BIBA apparels are also sold online on their site and applications. Advertising and Marketing was a great asset for the amount of success that this brand has received. BIBA has the largest market in the Indian clothing industry and has a turnover of large numbers. Housewife to entrepreneur and then to businesswomen, is what made all this possible with the determination and passion. Unlock the infinite cavity inside your mind, it will inevitably contain your roadmap, and you will find your passion in the way.